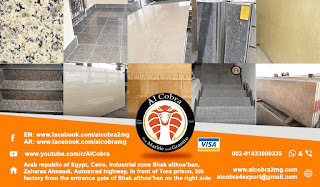 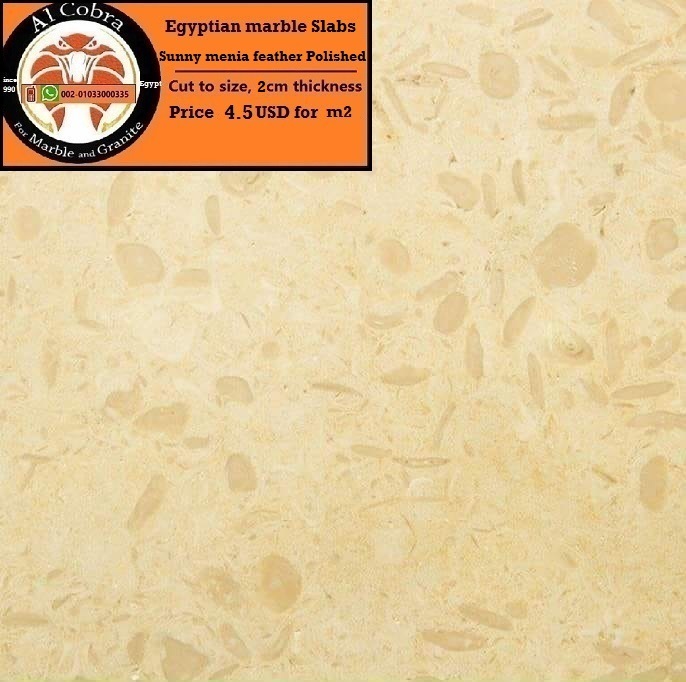 Al Cobra for marble and granite factory Located in Shak althoa’ban Egypt. 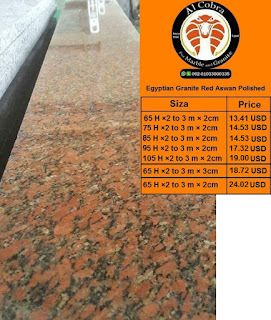 Considered as one of the largest factories in the Middle East. We are equipped with modern equipment using skilled labor capable to meet all requirements. Al Cobra for marble and granite. 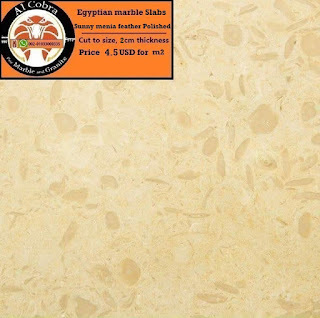 We adjust the quality of production by sorting colors and quality of manufacturing to ensure the highest level claimed. 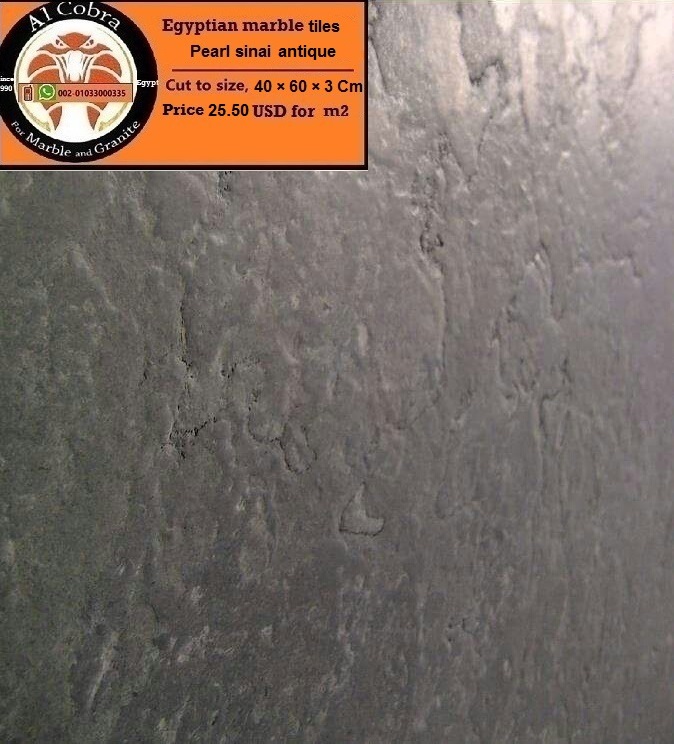 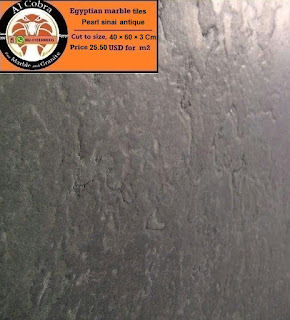 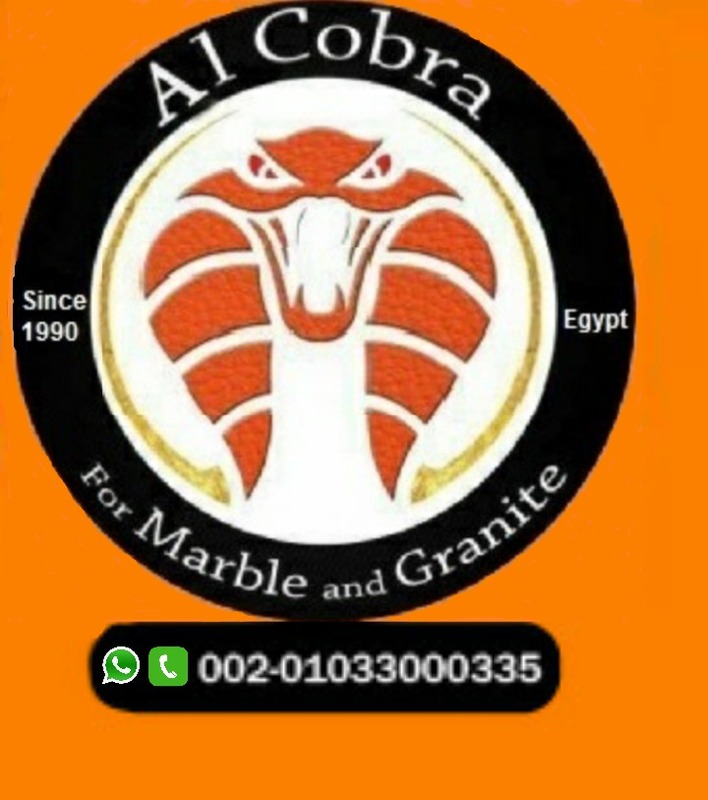 Al Cobra for marble and granite A leading pioneer factory in the field of manufacturing, supplying, and exporting all types of high quality Egyptian and imported marble and granite used in floors, walls, facades, stairs, interior and exterior decorations and modern construction. 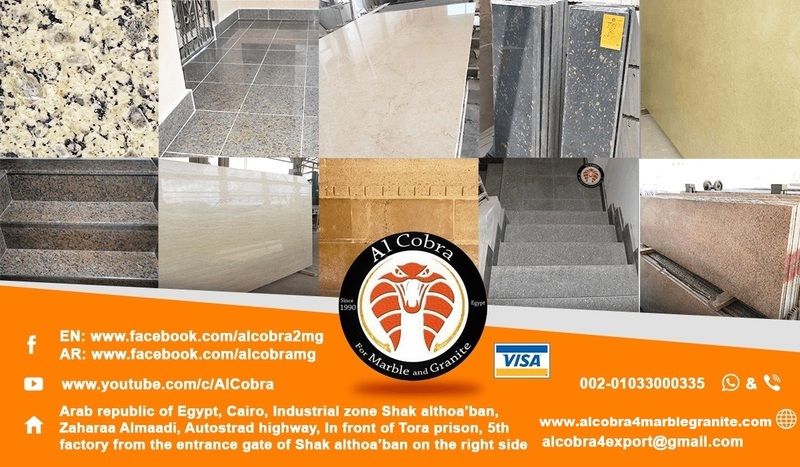 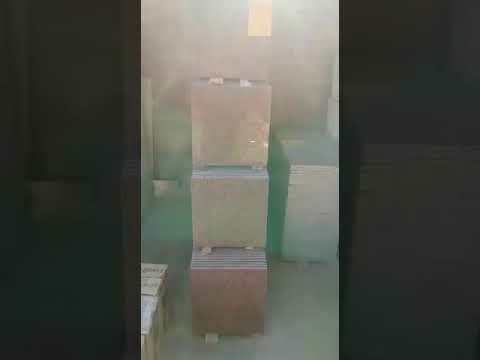 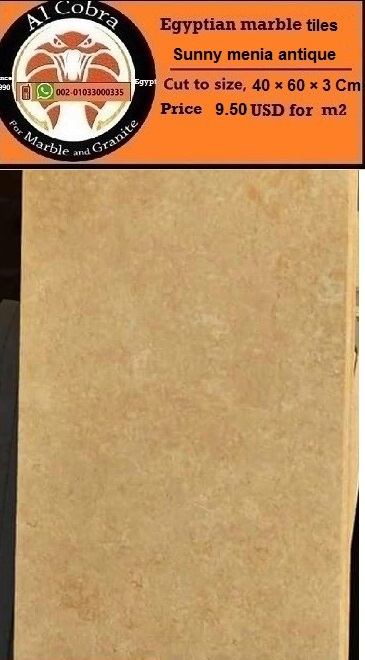 Al Cobra for marble and granite Unique and specialized in the final finished granite and marble products from tiles steps and slabs Polished and cut to size according to customers’ request. 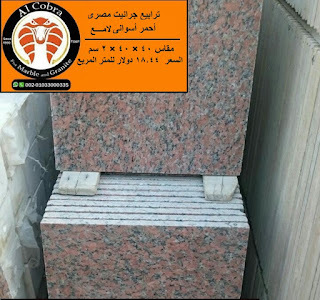 Al Cobra for marble and granite. Our products from Egyptian marble and granite are exported worldwide. Al Cobra for marble and granite Factory providing a distinctive assortment of Egyptian marble and granite With high quality.